MVAgusta.net > Marketplace > DesignCorse > APRIL FOOLS' PROMOTION | Up-to 30% Off! DON'T BE A FOOL, JUMP ON BOARD NOW! 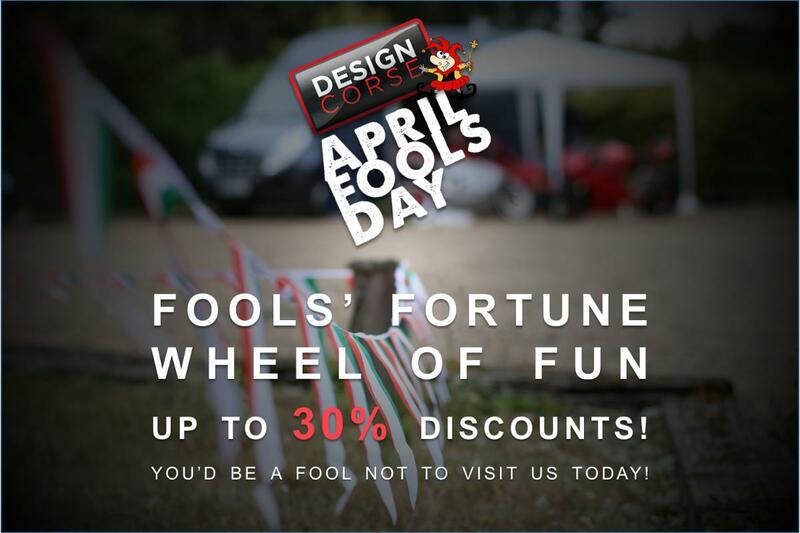 We promise, this is not a joke, all you'll have to do today with us is spin our lovely April Fools' Fortune Wheel of Fun to get your chance of earning a discount of up to 30% across our website. Now if you do want to go ahead and spin the wheel, please remember that the code will only be valid for 48 HOURS no matter what, make sure that you do get to make a purchase before the expiry or else you'll be left empty handed at checkout, that would be foolish wouldn't it?